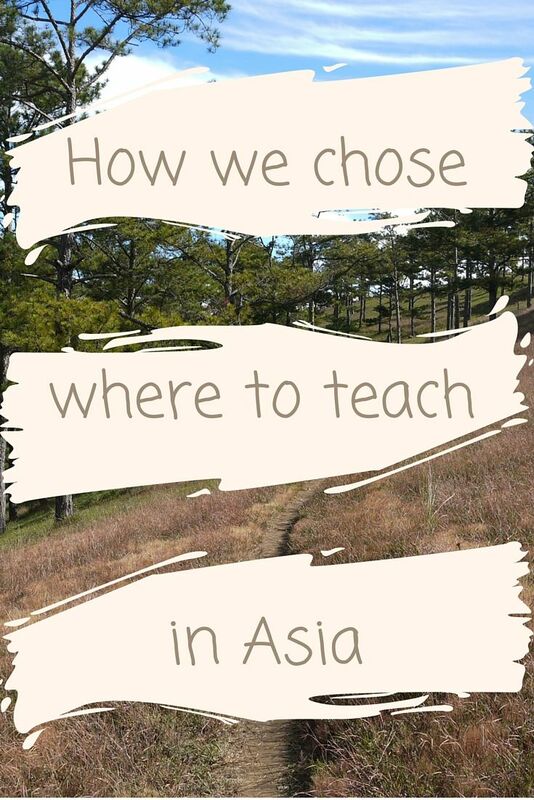 We were totally overwhelmed when choosing where to teach in Asia. Should we select a country we’d been to and loved, or go for somewhere completely new? After much debate and research we narrowed down the options to five countries and analysed which one would be best in terms of pay, benefits and working hours – here’s what we found out. As I’ve mentioned often, Thailand is one of our favourite countries in South-East Asia and somewhere we could easily see ourselves living. Having already spent several months in Chiang Mai over the course of our trip we had our eye on settling in this city with its delicious vegetarian cafes and easy access to beautiful northern Thai countryside. We fell in love with Hanoi when we visited during our month-long tour of the country. The city is big and vibrant and although there are some western comforts like malls and multiplex cinemas, Hanoi is far less touristy and westernised than Thailand, so we felt living there would be more of a challenge and give us a better insight into local life. Although we hadn’t gotten around to visiting South Korea we’d heard lots of stories from people who taught English there through the public school EPIK programme. 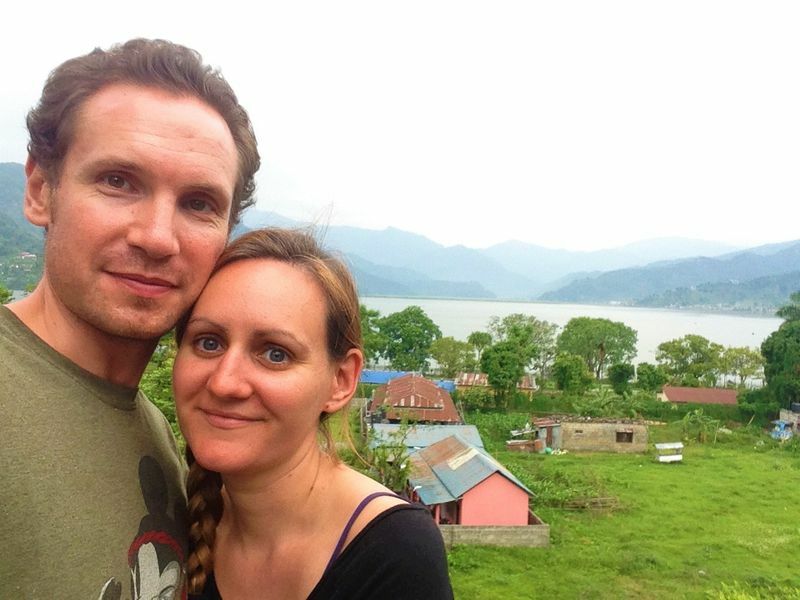 We knew wages were high and benefits were good and it seemed the ideal choice for us; we’d be able to explore a new country and earn a lot of money during a short space of time. If you’re interested in teaching English in South Korea, then fill out this form and the team at Teach and Travel Recruitment will get back to you as soon as possible. For a long time we had our heart set on teaching in Taiwan, a country we’d heard rave reviews about. We went as far as taking a three-week trip to the country to get a feel for what it would be like to live there. Although we really enjoyed our time in Taiwan we were worried about how expensive the living costs were, particularly in the capital, Taipei, where we’d most like to live. An expensive country we’d love to explore if we had a bigger budget. We considered teaching in Japan for the high wages and chance to explore the country while earning but we were doubtful how much money we’d be able to save because of the high living costs. Where’s the Best Place to Teach English in Asia? Having narrowed down the options we did some research on the practicalities of teaching in each of those countries. Since we needed to refill our savings account after a year and a half of travel, our main concerns were pay rates and start-up and living costs for each country; we also needed to know what time of year we could start a job and how easy it would be to find one. 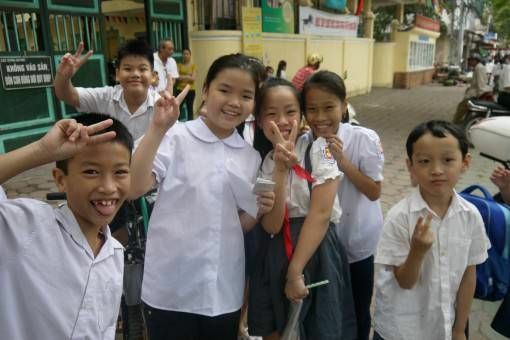 We used facts and figures from the websites Teachaway, Reach to Teach, ESLStarter and Move To Taiwan as well as our experiences in the countries we’d visited to compile the following information. It’s important to note that the figures above are guidelines only; exact pay rates depend on what qualifications and experience you have and who you want to work for. Each company offers different contract lengths, pay rates, benefits and holiday allowance. However, the figures for Vietnam are based on our experience of having taught here for almost four months. From our research we discovered that companies usually offer 12-month teaching contracts in Asia. In Vietnam however, nine-month contracts to cover the academic year are available and you can sign up to six-month contracts in Japan and Taiwan. Contract start and end dates mostly follow the academic year, beginning in late August or the beginning of September and finishing in May; six month contracts also start in January or February. It’s important to note that you don’t have to sign a contract with a company to find work. In all of the countries we researched we heard stories of people who worked casually for different language centres, schools or taught private classes. We knew we wanted to live in a city and lucky for us, most of the teaching positions available in Asia are in the big cities. However, there are jobs available in rural locations if you’re interested in working somewhere quieter. Not surprisingly, wages tend to be higher in the cities but living costs are lower in the countryside so this evens things out. We discovered that we’d need a work permit and visa for every one of the countries we were considering teaching in, which means extra expense and hassle. One of the benefits of signing a contract with a language centre or organisation is that they will often pay for and organise your work permit and visa. 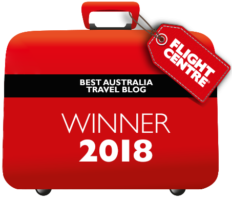 If you’re planning on working casually you’ll likely have to leave and re-enter the country every few months to top up your visa. In all of the countries we considered we could work in either private or public schools, each option has its own pros and cons. Public schools usually have better hours as you’ll teach between 08.00 and 17.00, while private schools and language centres also operate in the evenings and at weekends. The advantage of private schools is that you can often earn more and get bigger and better benefits and bonuses. Having an English teaching qualification such as a TEFL, TESL or CELTA will probably help you find a job in Asia; employers also prefer native English speakers with a degree. 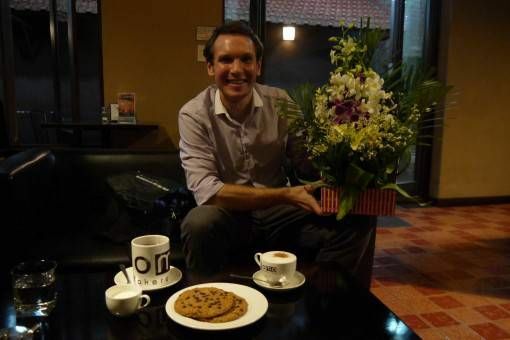 If you have teaching qualifications and experience from your home country, like Andrew, you’ll likely find a job very easily and earn a higher salary too. Saying that, we do know teachers in Vietnam who aren’t native speakers and who don’t have teaching qualifications, so each employer has different requirements. So, Where Did We Decide to Teach? We seriously considered teaching in South Korea and went as far as talking with a recruiter and gathering some of the documents we’d need for the EPIK application process. However, after we found out that we’d missed the cut-off point for jobs starting in September we had to shelve this plan. We crossed both Japan and Taiwan off our lists because of the high living costs and lengthy application processes for positions in both countries. 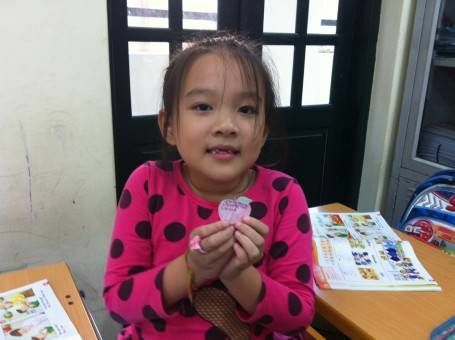 What’s it Actually Like to Teach English in Vietnam? Sources: Teachaway, Reach to Teach, ESLStarter, Move To Taiwan and our own experience of teaching in Hanoi, Vietnam. Have you taught in any of these countries or are you considering working in Asia? I’d love to hear your thoughts on which country you think is best to work in. Wow! What a thorough and informative post! I’m going to share it on my blog’s FB page for my readers as I think this information would be really helpful for people who are considering teaching abroad as an option! This is really interesting guys. Question though, what about China? I also heard it’s a great place for teaching English – you have accommodation and I think food paid for you and $1,000 pcm income on top. China did come up a lot in our research Stefan, it seems like you can make a lot of money teaching there. Personally, China doesn’t really appeal to us and I thought it would be too much culture shock to deal with in addition to the challenges of teaching. If you’re comfortable living in China though I think it’s a really great option. Great, informative post. There’s do much to consider when looking into teaching abroad. I’ve been doing some research into possible teaching in South America (it’s my plan B if I can’t get writing work), I get the impression the work isn’t a lucrative as teaching in Asia but I’ve got my heart set on living there long term. It’s amazing the opportunities teaching English can open up. I don’t know much about teaching in South America but if you’ve got your heart set on living there then it makes sense to go for that option. I’m sure it would be an incredible experience. My sister initially suggested teaching English in Korea when we were first thinking about moving to Asia–however, I tossed aside that idea pretty quickly because I speak Mandarin–I thought it would make more sense to teach in a Mandarin-speaking country, so we opted to move to China and love it here (I think life would be much more difficult for those without a background in the language, though it depends on what your goals are). Our lifestyle is very inexpensive, we’re able to live on a fraction of our income. I would also consider living in Taiwan although that would mean I’d have to learn traditional characters–that would be tough! Thanks for commenting Rachel, it’s so interesting to hear about your teaching experience in China. I can definitely see why you chose to go there, the money is great and if you speak the language, even better! That’s a nice graph you made with the info side by side. As I read through it I thought for sure you were going to Korea and then you decided on Vietnam. That’s the one country I haven’t been to. You know there are always ways to get what you want. All but one of my jobs were less than 30 hours a week in China, Korea and Taiwan. If you don’t want to sign a contract then sort your visa out: get a student visa and teach part time for example. We were pretty sure about Korea too, we even started the application process. In the end we decided against it as we’d missed the deadline for a September start and would have had to wait until February. I’m pleased we ended up in Vietnam in the end though. Interesting info about the student visa, I didn’t even think of that, you’re totally right, there’s always a way if you’re determined enough. 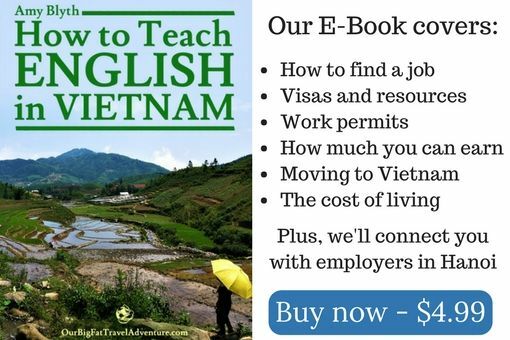 How Much Can you Earn from Teaching in Vietnam? What's it Like to Teach English in Vietnam? Why Take a TEFL Course? | Do you Need a TEFL Qualification? Such a great question – “who do you work for?”! Hi, we used to work for Washington Language Centre.